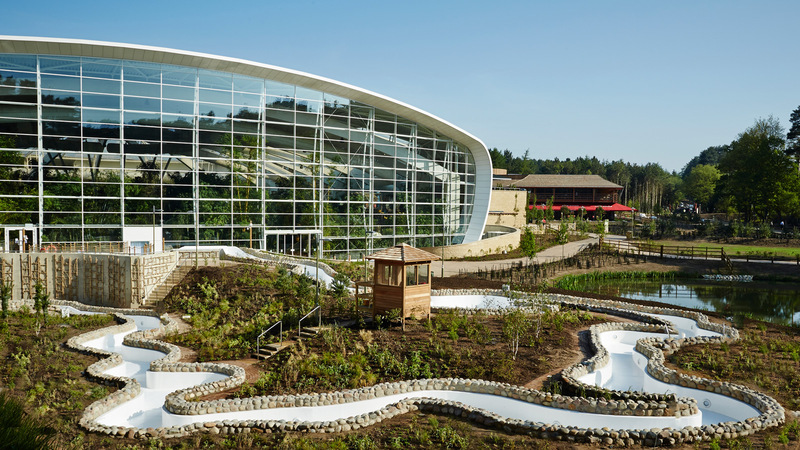 Center Parcs Woburn Forest opened to the public on the 6th June 2014 with the £95m centre buildings designed by leisure specialists Holder Mathias Architects. 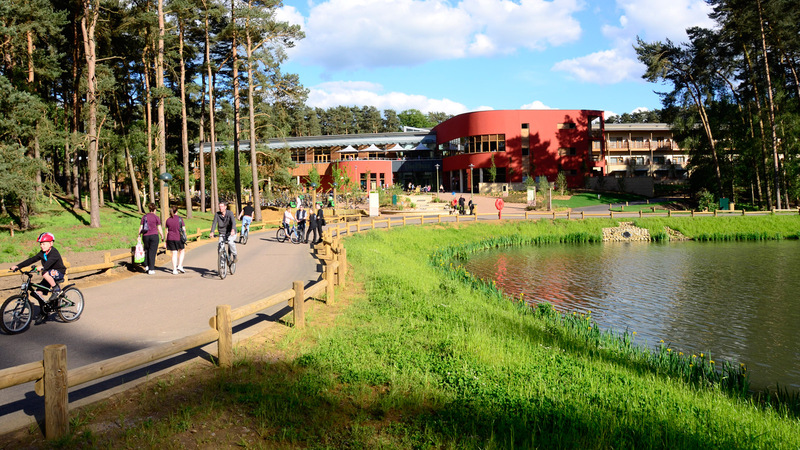 Center Parcs Woburn Forest takes a highly successful and much loved leisure holiday concept into the twenty first century. Woburn Forest is designed to achieve the timeless qualities of the brand, to create wonderful places for families to enjoy together in the forest. 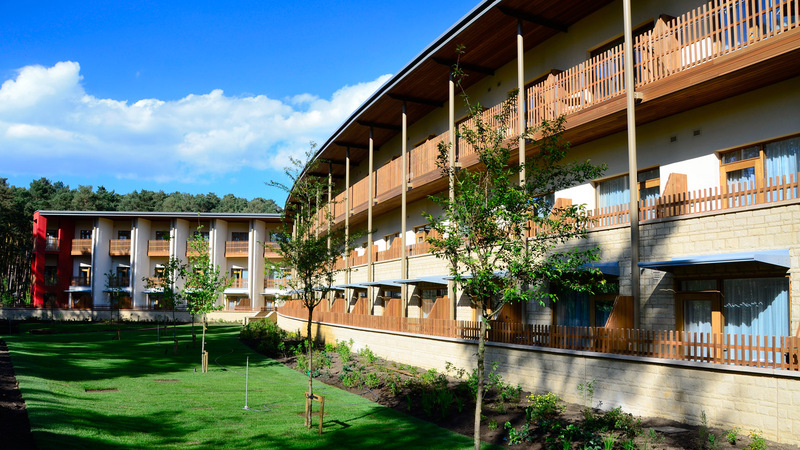 The centre buildings at Woburn Forest have been designed to settle into the woodland, sometimes with a touch of drama but always to work smoothly, inspiring guests and staff alike. 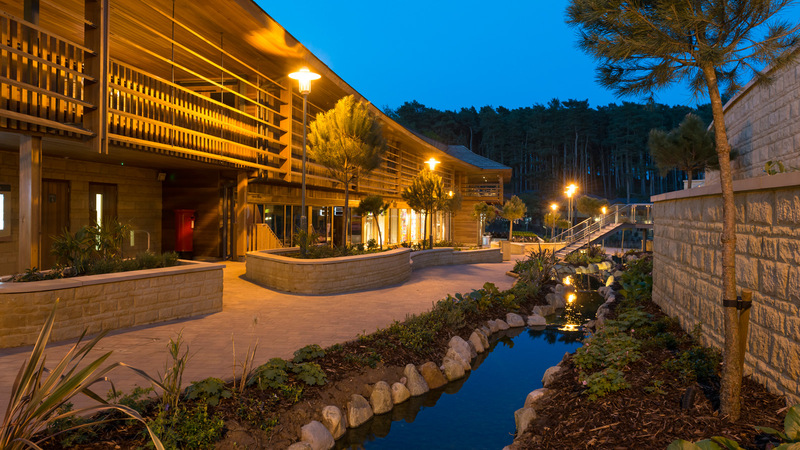 Center Parcs Woburn Forest is a complex affair; and the centre buildings are the most operationally sophisticated and intensively serviced part of the Village. 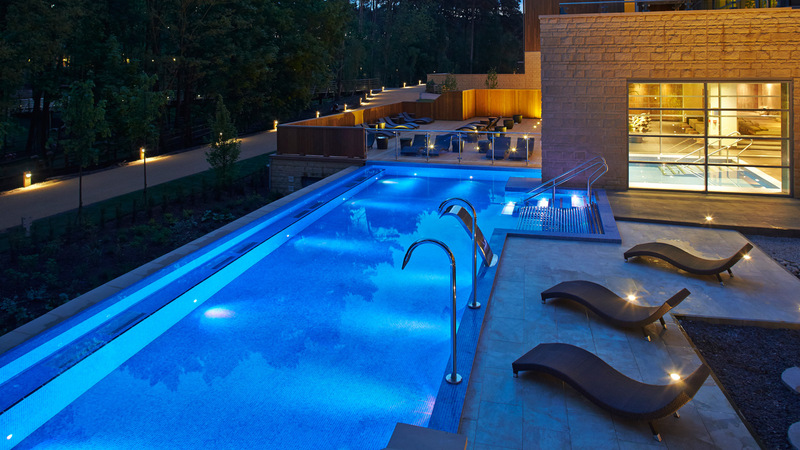 As the fifth Center Parcs in the United Kingdom the company was able to draw on a wealth of experience from the initial strategic direction given by Don Camilleri, the Director of Development, to the precisely detailed operational briefs prepared for every aspect of each building culminating in the most complex, sophisticated brief leisure specialists, Holder Mathias has designed to in fifty years. 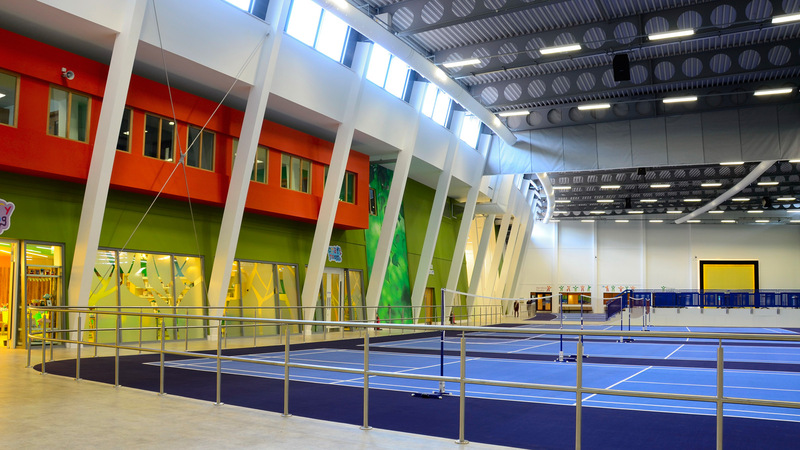 Each of the centre buildings has been designed to be concealed by the forest both from inside and outside the site. In this way the woodland dominates and the perception is created of a larger site as each of the buildings is concealed from the other. Throughout, the intention has been to create an emotionally warm and tactile architectural language that guests instinctively respond to and to design memorable places that they can explore, relax in and enjoy. 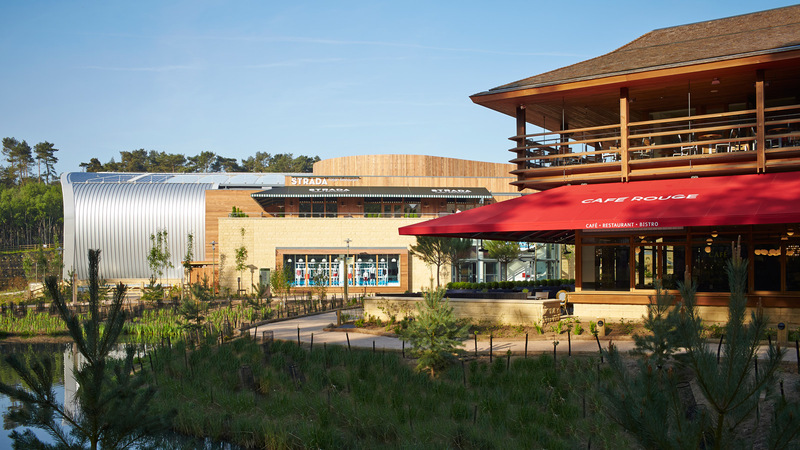 The Village Centre and The Plaza are very complex operational design requirements which were both thoroughly articulated by Center Parcs and thoughtfully answered by the design team. 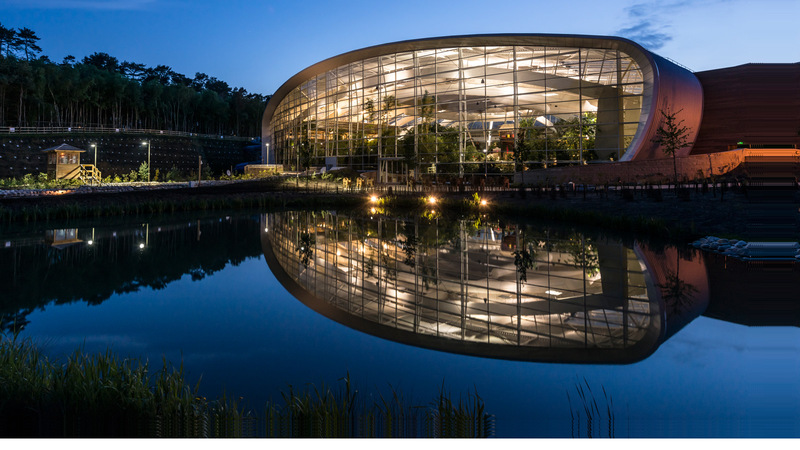 As a result Woburn Forest successfully responds to the challenge of creating a Center Parcs for the twenty first century. 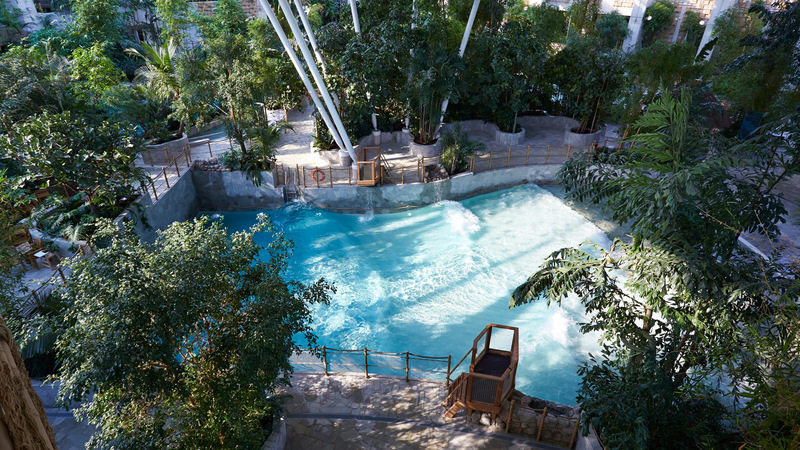 The focus of the 16,000m2 Village Square is the 5,200m2 Sub Tropical Swimming Paradise featuring a wave pool, long lazy river, separate toddlers and children’s wet play, an exhilarating external rapids and three of the fastest and most exciting flumes in the UK including a four person tornado raft ride. The Village Square itself is a gently winding path intertwined with a cascading stream with shops and restaurants on either side overlooked by the leisure bowl and bar on the first floor. 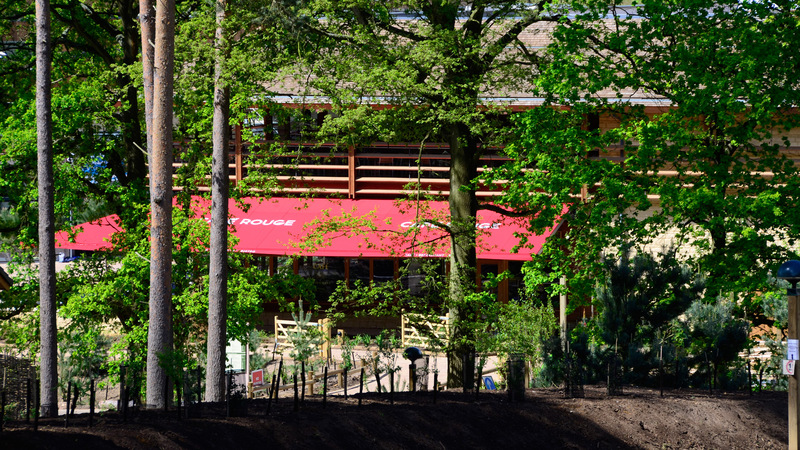 Each of the restaurants has been carefully designed to create different places enjoying the distant views into the forest and sunny terraces. 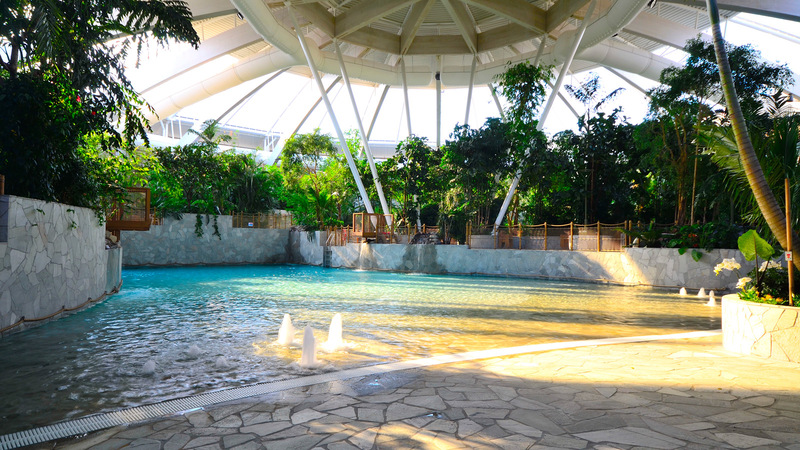 The form of the Subtropical Swimming Paradise represents a radical departure for Center Parcs. A series of glue-laminated timber arches create a shell like form with roof lights providing generous day lighting. 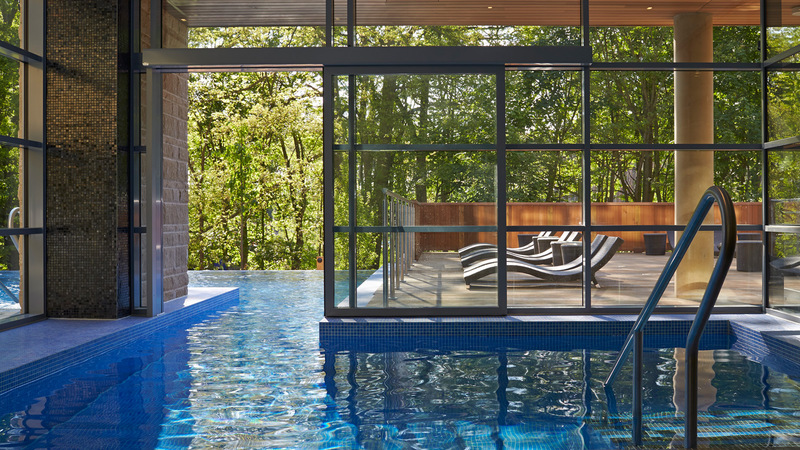 The building rises to its highest point to the south side with a dramatic glazed wall providing daylight deep into the building and offering magnificent views across the external pools and wild-water rapids to a lake and rising woodland. 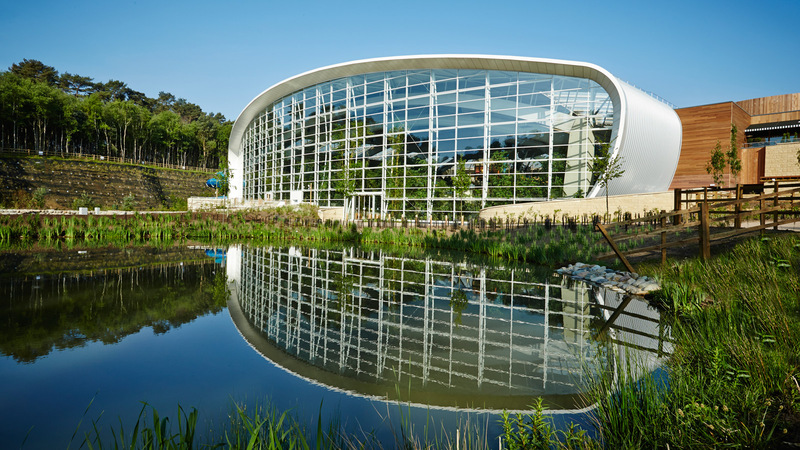 At 24,000m2 this is the most complex multi use building in Center Parcs’ portfolio providing the Parcmarket food store, full and flexible conference facilities, two high quality restaurants, the sports hall and sports bar, shops, childrens creche for a range of ages, a 75 bedroom hotel and a state of the art 7,700m2 spa with eight spa suites. Settling into the hillside the perceived scale of the building is significantly reduced by its curved form and stepped section. The relationship between The Plaza and lake has been carefully considered to maximise the opportunity for woodland and waterfront views. 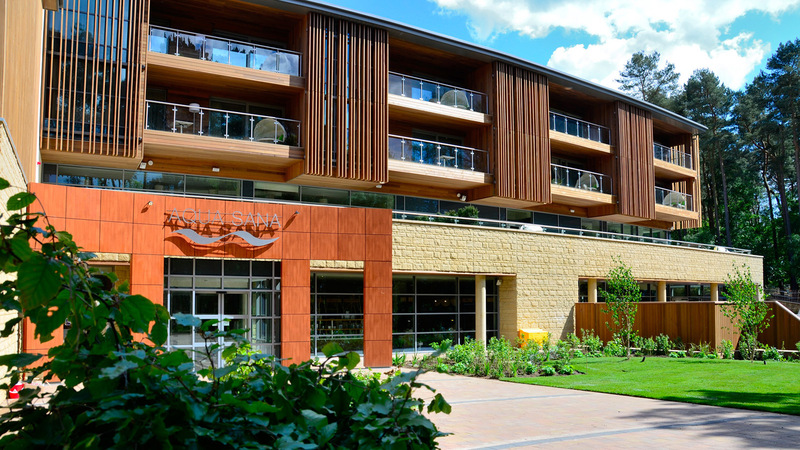 These opportunities have been fully exploited by the design of glazed frontages and terraces to the restaurants and bars, balconies to the hotel, and framed serene views of trees in the Aqua Sana spa with its quiet sheltered sun soaked terraces and infinity pool looking through the trees to the lake. 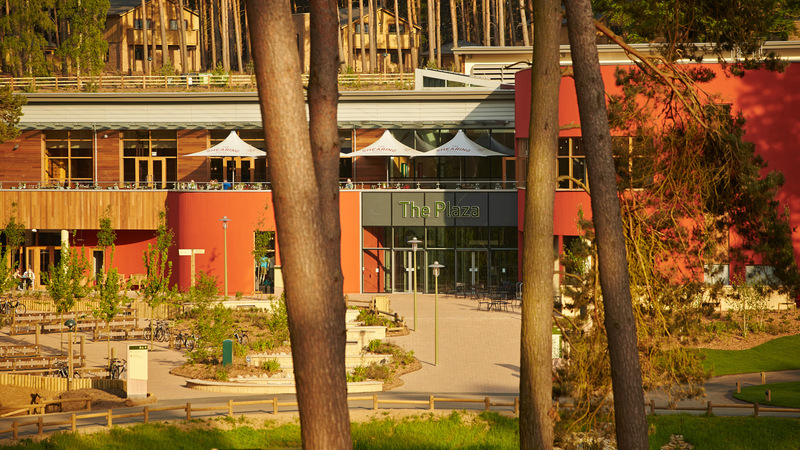 As the only visible building from the lake The Waterfront is an idyllic family retreat with one of Center Parcs Woburn Forest’s most popular attractions; The Pancake House. 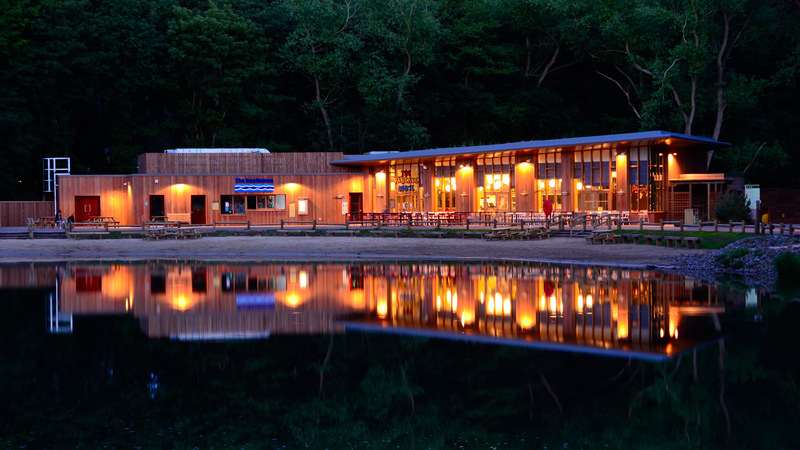 Relaxing in the glazed pavilion or on the boardwalk there is only a sense of the serenity of the lake and grandeur of the woodland with the two centre buildings absolutely absorbed by the forest.